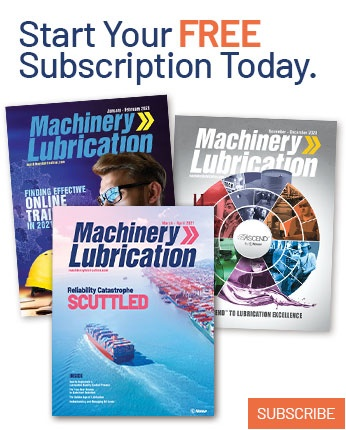 For any plant seeking lubrication excellence, there needs to be a visual starting point that sets the stage for what’s to come elsewhere in the facility. There is no better place for that than the lube room. In fact, I’ve never heard of a plant exhibiting excellence in machinery lubrication that doesn’t also exude excellence in the lube room. 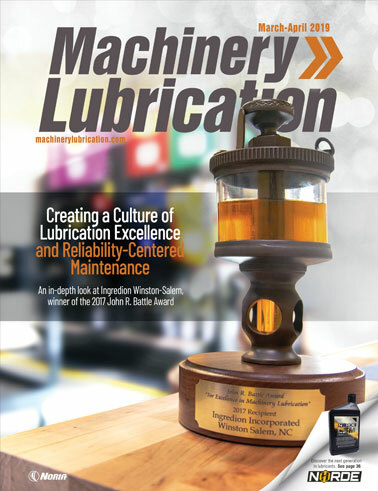 The lube room serves as the centerpiece and reference state for lubrication excellence. You have to get it right. This is important because transformation can take a while for large plants. Rome wasn’t built in a day. To succeed, you must have a solid foundation and a constant reminder of what quality and success should look like. It effectively punctuates that this standard of excellence should be replicated at each machine where lubricants are in use. There’s a huge and very important psychological element here. If you cut corners in the design and quality of your lube room, more critical corners will be cut elsewhere in the plant as well. Mediocracy becomes the norm and will be imbedded in the culture. When this occurs, the lube room transforms into a pigpen of tools, pumps, hoses, grease guns, bottles, totes and drums. Don’t let that happen. Be fussy and demanding, and set a high standard that encourages reliability excellence throughout the rest of the plant. Experts agree that the best way to overcome a catastrophic machine failure is not to have one. 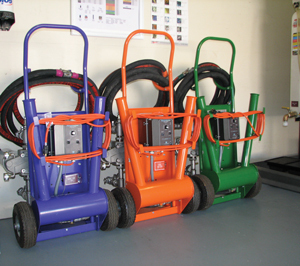 However, those in the maintenance field understand that machine reliability comes at a price. On the one hand, focusing on machine reliability alone may fail to control wasteful and excessive expenditures. To the other extreme, initiatives that slash current maintenance expenditures without considering long-term reliability consequences are frequently penny wise and pound foolish. Poor reliability and premature machine failures have a compounding financial impact. Half-heartedly measuring one element will spread like a cancer when measuring something else. Don’t get me wrong, excellence comes from optimum choices and certainly not wasteful or unnecessary choices. Precision lubrication means a state of not too much and not too little. You want a lean, optimum state of excellence. The operating conditions and need for reliability define the optimum state. 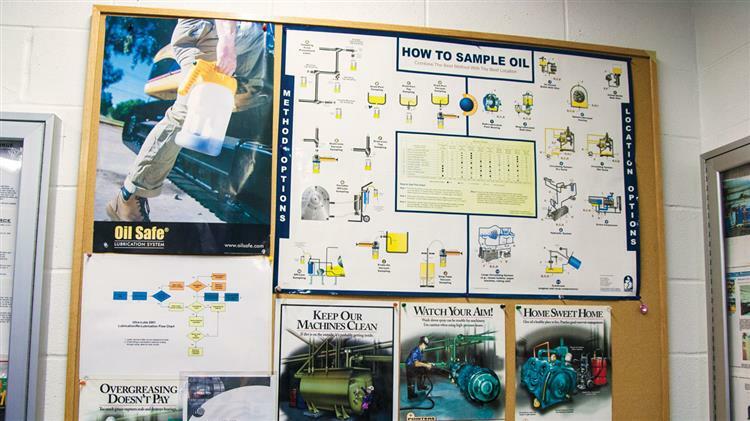 The lube room is the perfect place to display and emphasize the best example of optimized lubrication excellence. A big part of excellence is not the result of money spent, but rather a high state of tidiness, attention to detail, quality and organization. The lube room should be a showcase of what enables machines to run reliably and at the lowest possible cost. It should be a place of pride and a glaring statement of strong and effective lubrication and reliability values. It should represent and instill the rights of lubrication. Use the walls of your lube room as bulletin boards to display and emphasize critical messages, especially the need for change. Don’t assume lube technicians and other maintenance staff members remember and understand the tenets of lubrication excellence. They may have been told during training, but that doesn’t mean they remember or will readily change the way work is done in the plant. Lube room walls and bulletin boards should paint a clear picture of what is needed and expected. They are your front page and masterplan for change. Examples of what can be displayed as frequent reminders of your critical messages include housekeeping policies, safety policies, new standardized work procedures and tasks, training posters and wallcharts, and machine and lube room inspection tips. Consider showing annotated photos of best practice and perhaps what is no longer allowed. Some companies use TV monitors to loop training videos on such things as oil sampling, contamination control, grease gun procedures, inspection tips, storage and handling methods, etc. Use the lube room as a command post to display key performance indicators (KPIs), including leading (what’s going to happen) and lagging (what just happened or is happening) indicators. In all work environments, people need to know what’s important and what’s being measured. Metrics shape and define an organization. We’ve all been subject to various measurements since childhood. Those early experiences ranged from the winning score of a little-league baseball game to the painfully serious day we brought home a low grade on a school report card. We learned that what counts is what is measured. We are what we measure. Use the lube room to focus and celebrate the work that enables lubrication excellence. Construct a group of metrics and KPIs designed to stress the importance of doing just that. I’m always curious to see the charts and graphs that are posted by managers, often on bulletin boards outside their offices. A quick glance can tell you what defines the performance goals of the team that he or she manages. Oil and grease analysis are metrics on the state of lubrication and machine reliability. Condition monitoring metrics such as these should not be lost on a computer hard drive or in files inside a desk drawer. Instead, key data must be on display in real time to communicate all non-conforming conditions as well as successes from well-behaved and strongly earned data. Such awareness enables control and sustainability of program goals. Machine categories can be grouped together to show broader plant performance. Use control charts to display oil analysis trends such as particle and moisture trends, viscosity analysis, elemental analysis, ferrous density, and varnish potential. Big-picture metrics should also be added, including PM route compliance, contamination control compliance, overall lubrication effectiveness (OLE) and percent planned maintenance. When people do bad work, they feel bad about themselves and their job. Likewise, when people do good work, they feel good about themselves and their job. Training, empowerment, housekeeping (tidiness), tools, culture, documentation, measurement, communication and machine readiness all enable good work. Reliability doesn’t happen by itself. There is a human-behavior element that is critical. What happens when you have a world-class lube room that is clean, organized and complete with everything needed? 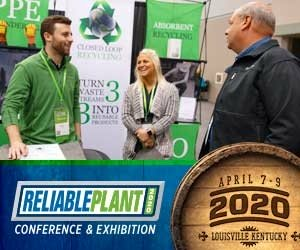 It telegraphs a subtle message to lube techs, operators and others performing maintenance tasks that quality work in the plant is recognized as important. Furthermore, it broadcasts a statement that management will invest in excellence and expects work to be done to the same standard. The culture of excellence becomes a contagion that spreads and is soon engrained in everyone. At last, the “people part” of lubrication excellence gets under control. The lube room provides that necessary starting point - square one. When you have a high-quality lube room, you finally begin the process of getting high-quality, sustainable lubrication at the machine. This translates to far greater attention to detail when performing lubrication tasks, more intense inspections, better oil samples, cleaner machines inside and out, etc. Your lube room becomes the command center or mission control for lubrication excellence.